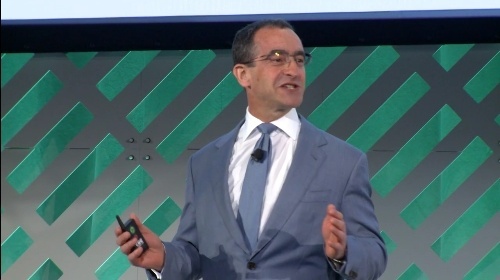 Slides from Bloomberg New Energy Finance (BNEF) Chairman Michael Liebreich's fascinating presentation at the BNEF Future of Energy Global Summit are available here, and you can watch the video of his presentation by clicking on the image to the right. See below for highlights. Today, the American Wind Energy Association (AWEA) released its U.S. Wind Industry Annual Market Report, Year Ending 2016. A few key takeaways from the report include: "record wind jobs," "generation records set," "corporations and utilities want wind," "wind benefits every state," "wind reduces emissions and saves water" and much more. Georgia Solar Energy Association: "Solar creates jobs and contributes to our economy"
Vestas' Chris Brown: "Wind power is making America great – today"
A new study by PJM, the enormous regional transmission organization (RTO) serving 61 million customers in the eastern United States, has some great news for fans of clean energy.